French Revolution to Cotton-Pickers USA via Jazz, folk and film! 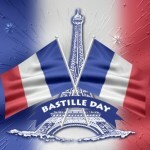 It’s “Bastille day” in France. A public holiday commemorating, not so much the regicide that began the French Revolution, but more the Fête de la Fédération; the beginning of the Republic. The bunting is out in the village, and a military march has just struck-up outside my window. Being Southern France, there’s every chance this is a real band playing real instruments, however, a few weeks ago I noticed small speakers hanging from drainpipes and balconies up and down the tiny main street. So perhaps this is the day their purpose becomes clear. Since our offices are closed today, I was checking-out the website for the Jazz a Juan (les Pines) Festival (http://jazzajuan.com/) here on the French Riviera and came across Rhiannon Giddens (http://jazzajuan.com/fr-fr/programme2015/artiste.aspx?id=66) – a name I didn’t know at all. Following the link to her website (http://rhiannongiddens.com/) I watched the very beautiful and moving performance of Up in Arms with Bhi Bhiman. When he’s not fingerpicking the Larrivee, Bhiman plays Epiphone’s equivalent to our beloved Gibson ES-330 TD. His is the modern masterbilt version of the Epiphone Casino (vintage 1960s Casinos are seriously expensive thanks to their association with the Beatles). If you’ve seen the film Whiplash and if you have studied an instrument I encourage you to see it, you will love this pastiche: https://youtu.be/M-QAupdp4v8 I’m ashamed to say that I’ve adopted the J. K. Simmons “stop” hand signal – what does that say about me? Giddens is a multi-instrumentalist and interested in many styles. One of her groups is the deliciously-named Carolina Chocolate Drops https://youtu.be/1xOxHyTP91c who celebrate the folk music of the Carolinas with unbounded talent, confidence and fun! I hear the band starting-up again, so it’s time to wave something red, white and blue.